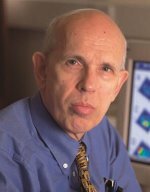 The Society congratulates Prof Ole Petersen CBE FMedSci FLSW FRS on the award of The American Physiological Society’s Horace W Davenport Distinguished Lectureship. The lecture on ‘Calcium signal mechanisms in epithelial cells: roles in physiology and pathology’ was delivered on Tuesday afternoon 23 April 2013, at Experimental Biology 2013, held at the Boston Convention & Exhibition Center. Experimental Biology is the world’s largest annual general biology congress and attendance at EB2013 is estimated to be ~15000. The Chair of the American Physiological Society’s Gastrointestinal & Liver Section, Prof Marshall Montrose, states that “the Horace W Davenport Distinguished Lectureship is the most prestigious recognition offered by the Gastrointestinal & Liver Section of the American Physiological Society” and that “the award recognizes distinguished lifetime achievement in gastrointestinal and liver physiological research”. The Davenport Lecture is generally given by top US investigators and has only previously been delivered by two European scientists, namely by the late Sir James Black, King’s College London (Nobel Laureate) in 1994 and by Prof Geoff Burnstock, University College London in 2001.